Washington, DC – (RealEstateRama) — Community groups led by the National Community Reinvestment Coalition (NCRC) sent a letter to Mel Watt, Director of the Federal Housing Finance Agency (FHFA) and Secretary of the U.S. Department of the Treasury Steven Mnuchin expressing concerns about the declining capital buffer at the government-sponsored enterprises Fannie Mae and Freddie Mac. The letter urges the FHFA to suspend dividend payments to the Treasury Department this month and allow the Enterprises to rebuild their capital buffers to avoid a draw on the U.S. Department of the Treasury’s commitment of taxpayer funding for any non-credit related losses. We are writing to express our concerns about the declining capital buffer at the government-sponsored enterprises – Fannie Mae and Freddie Mac – and to urge the Administration to take immediate steps to shore up their capital position in order to prevent a draw on the U.S. Department of the Treasury’s commitment of taxpayer funding for any non-credit related losses. With the Enterprises’ capital buffer declining to zero starting on January 1, 2018, we urge Federal Housing Finance Agency (FHFA) to exercise its discretion under the Senior Preferred Stock Purchase Agreements to suspend the dividend payment on their Senior Preferred Stock this month. FHFA has previously identified a number of non-credit related factors that could lead to a loss at the Enterprises and result in a draw on their U.S. Treasury commitments. Over a year ago, FHFA Director Mel Watt identified the Enterprises’ declining capital buffer as posing “the most serious risk and the one that has the most potential for escalating in the future.” He also identified the risks and challenges of the Enterprises’ protracted conservatorship. To add to those existing challenges, both the White House and Congress have indicated plans to enact a corporate tax cut. If enacted, then tax reform would require a change in the accounting treatment of the Enterprises’ deferred tax assets and result in a loss at the Enterprises – precipitating a draw. Quite simply, a draw by the Enterprises on their U.S. Treasury commitments is avoidable, would be politically regrettable, is inconsistent with the core principles of regulation outlined in the President’s February 2nd Executive Order of the financial system to “prevent taxpayer-funded bailouts,” and would unnecessarily place the availability and accessibility of mortgage credit at risk. We believe that it is critical that FHFA act now, with support from the U.S. Treasury. Existing authorities under both the Housing and Economic Recovery Act of 2008 (HERA) and the Senior Preferred Stock Purchase Agreements allow the agency to take the steps necessary to protect taxpayers, low- and moderate-income homebuyers and small lenders across the country. 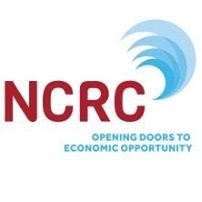 While a draw on their U.S. Treasury commitments might create a sense of political urgency on Capitol Hill around housing finance reform, we are concerned about any precipitous legislative action on both the affordable housing mission of the Enterprises and equitable access to the secondary mortgage market by small lenders. We urge FHFA to suspend the dividend payments to the U.S. Treasury this month and allow the Enterprises to rebuild their capital buffers to avoid a draw for widely anticipated non-credit related losses at the Enterprises. We know this decision is time sensitive, so we thank you for your consideration of our views and we would welcome an opportunity to speak further.